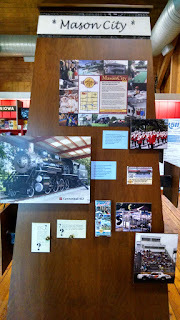 The old Visit Mason City Welcome Center display was informational with some interactive displays. However, it didn’t really stand out to guests passing through the center. The area in the Welcome Center where the display was placed had no access to electricity limiting the interactivity within the display. The option of moving the display was considered, but the decision was made to leave the display in its current location and develop a more creative display that would be more interactive and attention-grabbing. 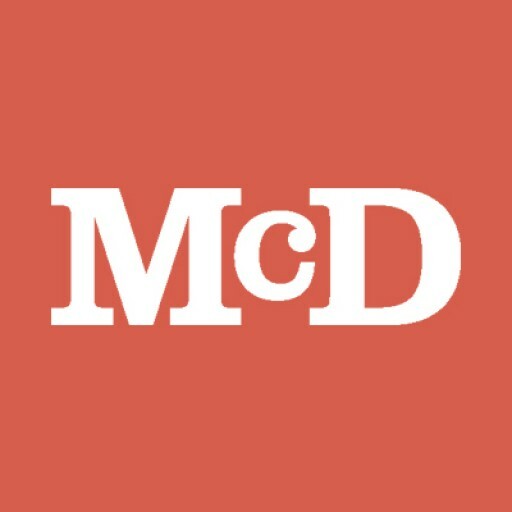 Mason City called McDaniels Marketing for help. 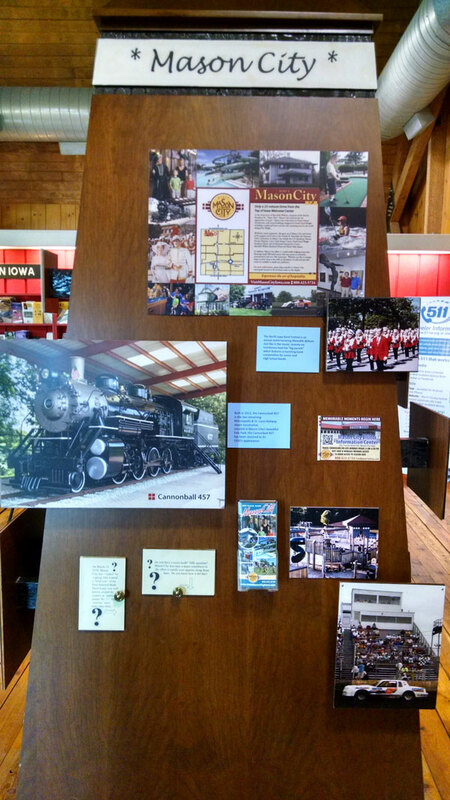 After our discovery visit, we were able to design a new kiosk that incorporated a variety of different interactive options and we were able to streamline the interchangeable display for photography and information for the Mason City area. The new kiosk is three-sided and hollow. 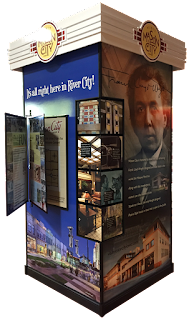 Each panel pays homage to the main draws of Mason City - The Music Man and Frank Lloyd Wright; as well as local attractions, events, restaurants and accommodations. 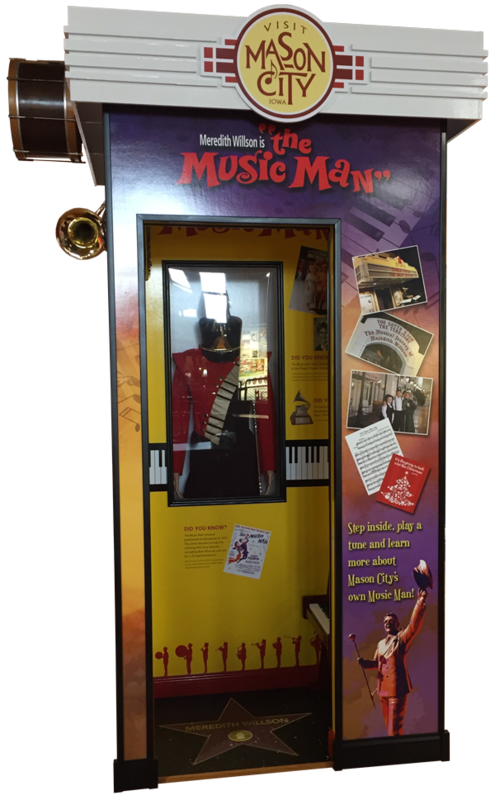 The fourth ‘side’ of the display allows visitors to actually enter and view a plethora of Music Man artifacts. 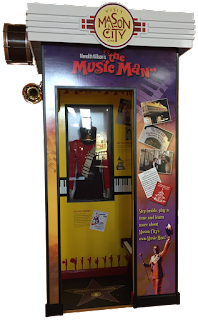 Visitors can even play a few notes from 76 Trombones, one of the most iconic musical numbers from the musical, on a scaled down piano. The River City panel features interactive trivia cubes that rotate; as well as a photobook of hotels, restaurants and attractions. The three outside panels have interactive features to draw visitors in to experience the display, and will attract those in the area simply by the activities of other guests. On one corner rotating blocks were installed that feature trivia, giving guests the opportunity to learn more about Frank Lloyd Wright architecture and Meredith Willson. A photobook was installed on another panel featuring hotels, restaurants and other local attractions. The pages of the photobook can be interchanged as needed and allow for more space for displaying photos of the area. We wanted the display to stand out in the Welcome Center so we incorporated the colors of the Visit Mason City logo, yellow and red and included the logo on each panel. 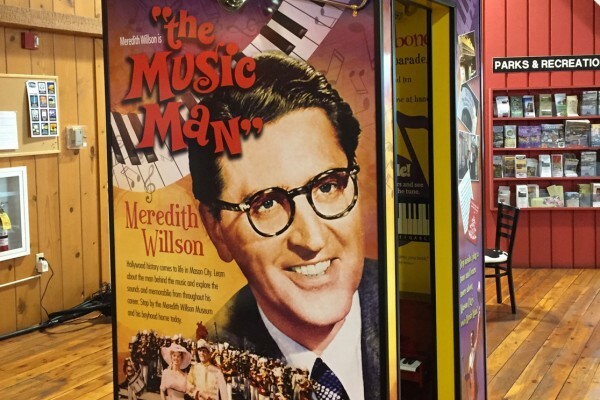 We were even able to feature the logo on a salvaged snare drum on the Music Man panel. Additional musical instrument were attached to the display drawing attention to the display. Due to the size of the final piece, the display was developed by our creative team and built under our watchful eye by a local sign builder. The pieces were broken down for transportation and then rebuilt onsite in Iowa. The final display is four feet around and 11 feet tall. The tremendous attention to detail is evident on every panel, inside and out. Inside the display you can learn to play a tune on a real miniature piano. The new display now gives Mason City a more striking and interactive Welcome Center that comes alive and is visible as soon as you enter the Welcome Center. Interested in building a kiosk for your business? Reach out to Tony Oedewaldt at tony@mcdmarketing.com or 309-346-6974.